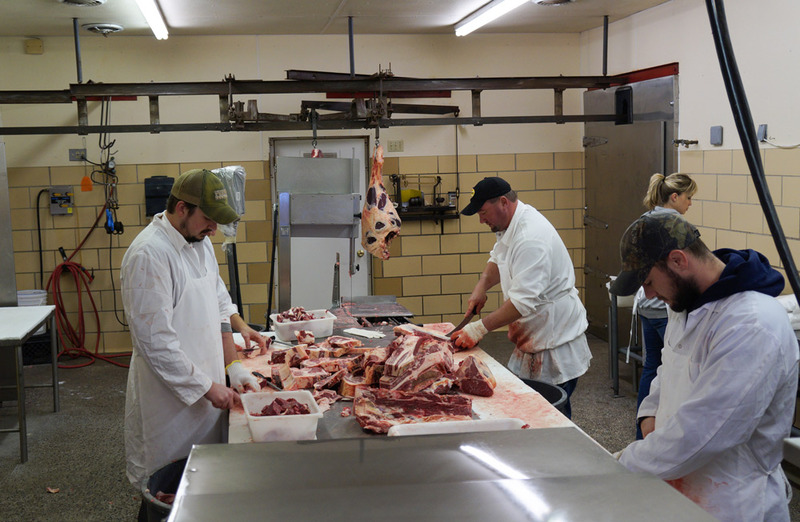 The custom beef that comes into the C. Roy plant for processing is farm raised by local farmers. There are no feedlot animals brought into our plant for processing. All animals are vet checked by a U.S.D.A. Veterinarian during the slaughter process. All animals are processed using humane methods. Because we are a U.S.D.A. and HAACP certified processing plant, there can be no hormones or antibiotics given or used on the animals. This ensures that you get the very best and purest meat on your table. Stop in and see us… We would be glad to show you our plant and explain how the operation works.